Traditional style all-wood bistro chair with strong features. Choose from a wide choice of UK wood finishes and fabrics for upholstered seat options. Solid wood construction. 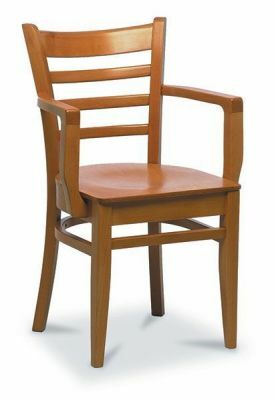 Strong construction contract grade dining chair for use in a number of different modern interiors. Select from a wide range of wood stained finishes and upholstered seat options.